The Austin Music Foundations May artist of the month is out of this world! 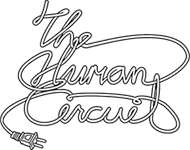 The Human Circuit, an independent psychedelic rock band is bringing something new to the Austin music scene. The Human Circuits sound is often considered unexplainable, and is definitely something you have to experience first-hand to understand. This unique group offers more than just a sound, but an experience that is its own form of art. The band has performed at many Austin events, such as South By Southwest, Independence Brewing Company&apos;s First Saturday. This summer, The Human Circuit will play at many different Austin venues such as Empire Control Room, Cheer Up Charlies, FrankenBike, Hole in the Wall, Haymaker, Scoot Inn, Whip In and more! Take a listen and plan when you&apos;ll check out this featured band when visiting during the summer.